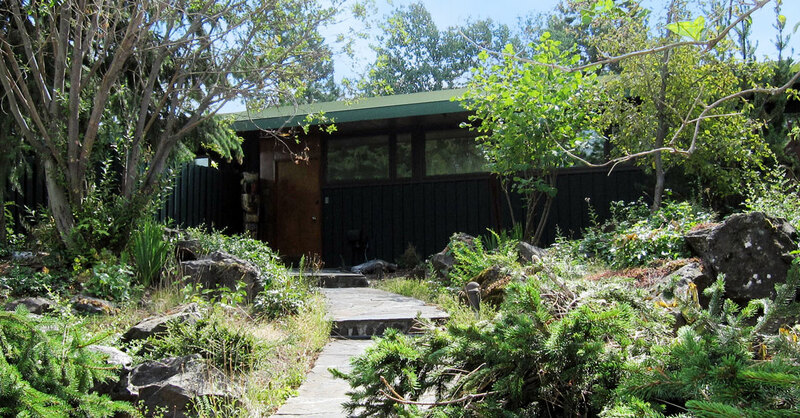 One of only two extant Neutra structures in the Pacific Northwest, the Fischer house is designed in the International Style. The term describes a style that emerged in Europe between the World Wars and coalesced in the United States in the early 1930s due to the efforts of architectural historian Henry-Russell Hitchcock Jr. and architect Philip Johnson to codify and attribute the elements of a style to the emerging architectural forms and characteristics. 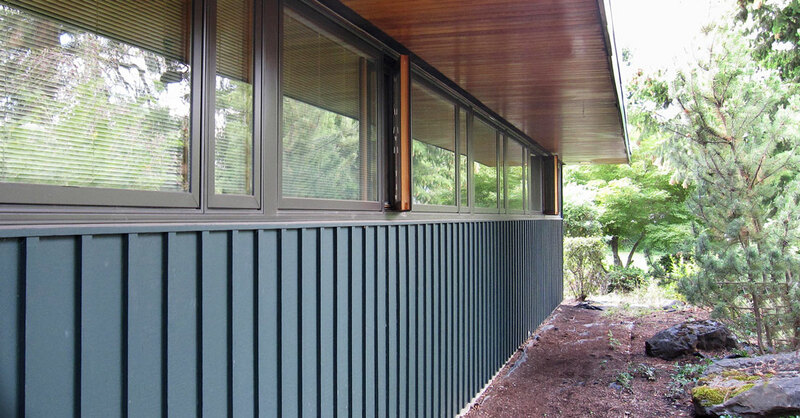 In residential architecture, it’s typified by an asymmetrical composition, a flat roof with no eaves, planar surfaces and smooth finishes, minimal or simple detailing, and expansive or expressionistic use of glass. 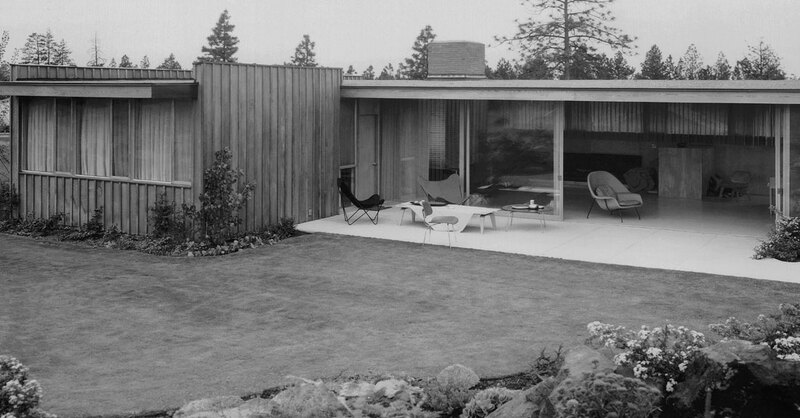 The Fischer house displays a more rustic appearance than is typical of Neutra’s southern California houses; another feature not necessarily seen on other International style houses is the use of deep eave overhangs, which is also more consistent with modern residences in the Pacific Northwest. Born in Vienna and educated at the Technische Universität Wien, Richard Neutra arrived in the United States in 1923 at the age of 31. 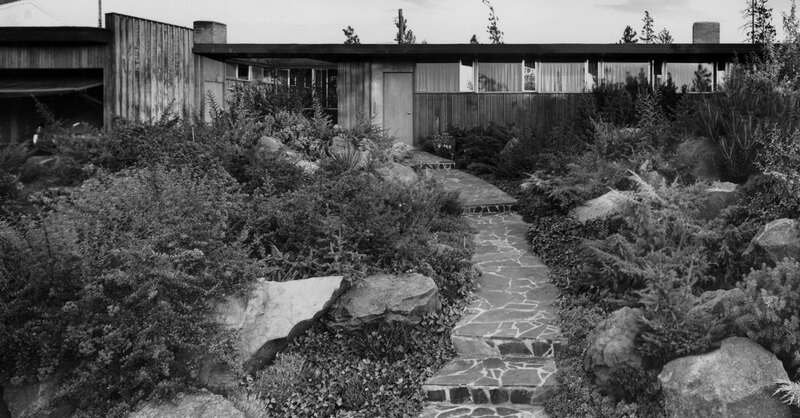 After a brief period working for Frank Lloyd Wright, Neutra moved to Los Angeles to establish his own architectural practice. 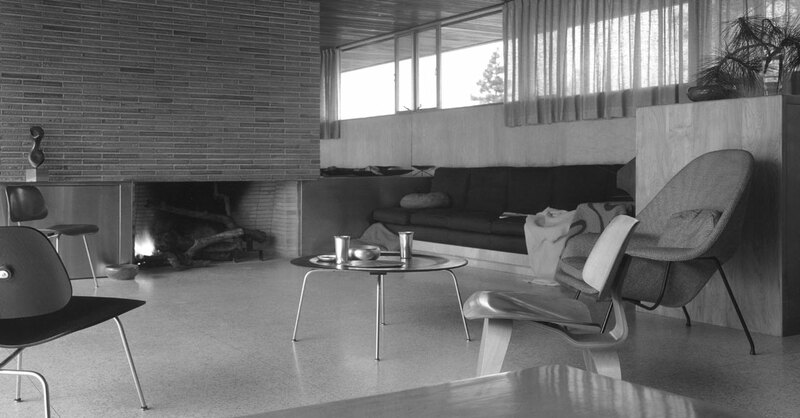 Today considered one of 20th-century architecture’s most important innovators, Neutra was recognized for his genius early on, attaining a sort of fame that, apart from Wright, was previously unheard of. 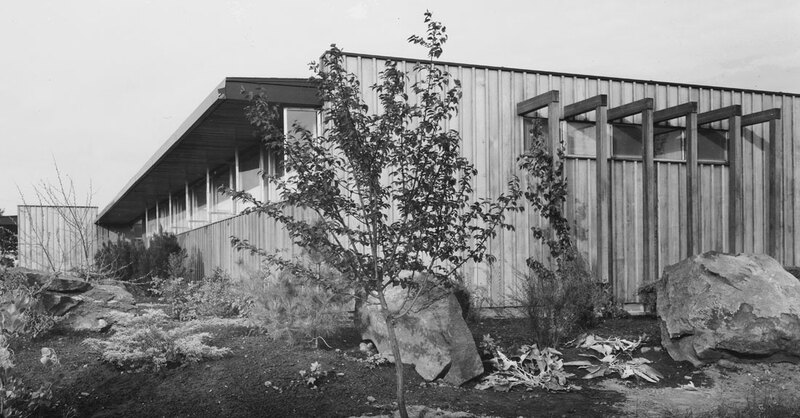 In 1932, he was included in the Museum of Modern Art’s exhibition on Modern architecture, curated by Philip Johnson and Henry-Russell Hitchcock. He also appeared on the cover of Time magazine in 1949 as “one of the world’s half-dozen top modern architects.” Neutra formed a partnership with his son Dion in 1965; the firm remains in practice today, nearly 50 years after Richard’s death on April 16, 1970.